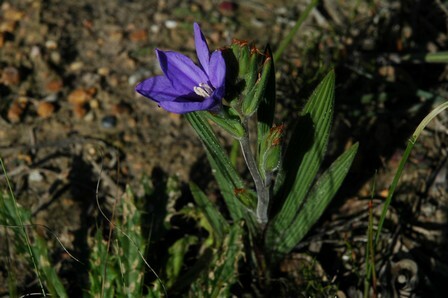 A formerly widespread species that has declined extensively, currently occupying a few small isolated fragments of lowland sand fynbos (EOO 645 km², AOO <25 km²). The severely fragmented population continues to decline due to ongoing habitat loss and degradation. Hopefield to Klipheuwel and Agter-Paarl. Seasonally damp loamy soils on sandy flats. This species has lost more than 80% of its habitat to urban and agricultural expansion. 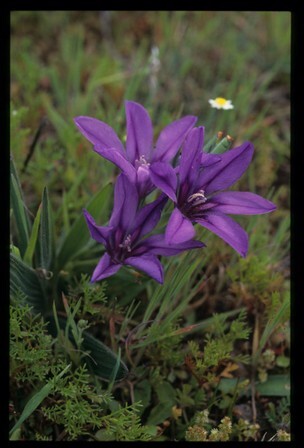 Remaining subpopulations are mainly threatened by competition from dense, unmanaged infestations of alien invasive plants, which affects four out of five remaining subpopulations. Additional threats include ongoing habitat loss to urban and industrial expansion, overgrazing and inappropriate fire management. 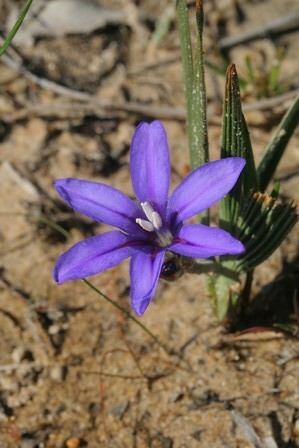 Babiana leipoldtii's population has been fragmented by extensive habitat loss. 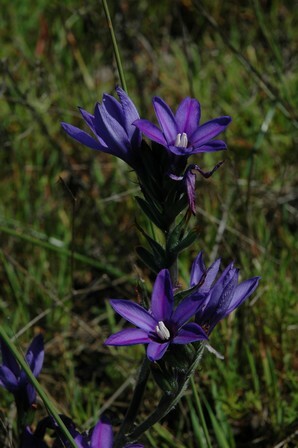 Currently the largest remaining subpopulation occurs scattered across several fragments of lowland sand fynbos between Malmesbury and Mamre. 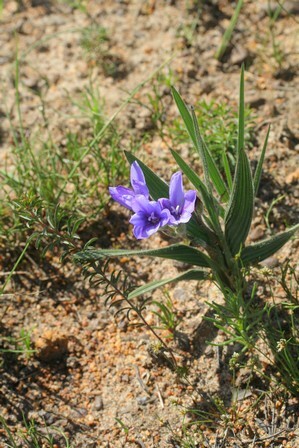 There are three other remaining subpopulations all confined to small, isolated fynbos remnants between Hopefield and Klipheuwel, and all continue to decline due to ongoing habitat degradation.